What type of licenses are being sold by Radient on this website? The Radient Store offers subscriptions for the most recent versions of the Autodesk software products. When you are adding a certain product to cart, you are in fact preparing to subscribe to a certain Autodesk license for a defined period of time - 1, 2 or 3 years. Some software solutions, enterprise products and specialized licensing options such as subscriptions with multi-user access (network licensing) cannot be purchased online. Contact a Radient representative for product options not available on-line. Radient has been an Autodesk partner for more than 13 years. Thanks to our experience and expertise, we have been able to keep our costs down without sacrificing quality. Since our goal is to work with our customers and provide specialized consulting and design services, we are thus able to offer products and subscriptions to really competitive prices. How can I buy / subscribe to these products? Visit our shop to view all available offers and select a product to see the product information page. Autodesk software and services are available via subscription only. 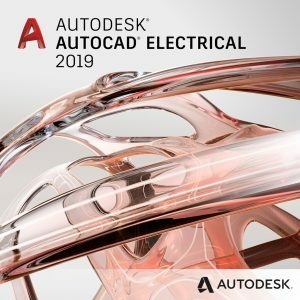 Subscriptions to Autodesk products offer access to the latest software and product enhancements, support and cloud services. Click the drop-down menu of the product page to see your subscription options - for the moment we only offer annual options, for 1, 2 or 3 years. Select the desired subscription term and press Add to cart. You can update the quantity directly in the Cart section or in the product page. What if I am already an Autodesk customer? As of 2016, Autodesk phased out perpetual licenses and replaced them with subscription offers, which allow you to access multiple products and share licenses just as you could with perpetual licensing. Customers with an active subscription to software or cloud services are automatically eligible to update to the latest version when released. If you need to renew an existing subscription, you can either choose from the existing subscriptions of our store, or contact us with the serial number of your current subscription. If you have a perpetual license and would like to switch to a subscription, we will also kindly ask to contact us directly and prepare the serial numbers of your licenses. Please note that some previously released versions of Autodesk software are available as a benefit when you subscribe to a current version of Autodesk software. At this time, Radient only offers yearly subscriptions of the Autodesk software, mainly because a one-year subscription is priced to provide savings compared to maintaining a monthly subscription for one year. Your subscription remains active for a full year without additional billing or need to manage payment settings and also automatically renews at the end of your one-year subscription term. A three-year subscription is the best value for long-term software needs and saves you money compared to monthly and one-year subscription plans. This type of subscription will protect you from the possible future price increases and is the smart choice for businesses with a clear pipeline of projects. Of course, your subscription remains active for three years at the original subscription price and renews automatically at the end of your subscription term. Our secure server encrypts your payment information. We accept direct bank transfer and PayPal. In case Bank Transfer is selected, our bank details will be provided when the order is completed, both on screen and in the confirmation email. Please keep your confirmation email and follow the instructions provided. Once the payment is completed and the funds are cleared in our account, the license and the corresponding invoice will be delivered electronically. Please note that it may take 2-3 days for the funds to be transferred into our account. If PayPal is selected, you need to have a valid PayPal account in order to complete the payment. If you would like to select card payments, you can pay with your credit card if you don’t have a PayPal account: simply select PayPal payment and then, in the following page, you have the option to enter your account or select credit card payment. Why do I receive a payment error? Card number and expiration date: For security reasons, you cannot view or edit new or existing card information after you enter it. You can try entering the card information again. Verify that the card number and expiration date are correct. Name and billing address: Verify that the name and billing address match the address on record with your payment provider. You can review and edit these items in the basket. Purchase limits: Some banks place a limit on how much you can spend on an individual purchase or in a single day. Even if you have funds available, your bank may not authorize the charge. Call your bank and ask them to authorize the charge or get information about their online purchase policies. You can always choose Bank Transfer or contact us directly. We process the charges as soon as our systems can complete your order and make your software or services available online. Processing typically takes a few minutes but can take up to 24 hours in case of Online Payments and about 72 hours in case of Bank Transfers. Check with your payment provider for information about when charges will post to your account. Please note that every order is supervised and approved by one of Radient's team members, who will compare the order with the Autodesk license portal and correct any errors if necessary. In some cases, it may be necessary to revise your details, so please make sure you enter your data and contact details accurately. Why do I have to pay the Value Added Tax? Radient is legally required to charge you Value Added Tax (VAT) according to the calculations you see during your purchase from the store. This VAT will be shown as a separate charge during checkout and will be included in the product final price. All customers are charged VAT for their country of residence. VAT exemptions: Companies located outside the RO who enter a VAT number that can be validated during purchase are not charged VAT. All companies located in the RO, even those with a valid VAT ID, are charged RO VAT. If your VAT ID cannot be validated, you can proceed with your purchase and may be able to apply for reimbursement with your local VAT authorities. Check the validity of your VAT ID and read more about VAT rules at the European Commission Taxation website. Where do I find my order history and invoices? The Radient Store offers you the option to create an account. If such an account was created, your order history will be available after a successful login in the "My Account" section. In the Orders Section you will also find the invoices corresponding to each order. All orders placed in the Radient store are fulfilled through your Autodesk Account, where you can download install files and access cloud services. The option to purchase and ship a physical copy of Autodesk software is not available. You will receive via email an order fulfillment email message, after we process your payment and deliver products and services to your Autodesk Account. Note that you will receive messages both from Radient, as an Autodesk partner, and from Autodesk directly. If you don't receive information about accessing purchases, check your email Spam or Junk folder or contact us for assistance. IMPORTANT: If you received an email message that states purchased products are available or that access was assigned by an administrator, you must sign in to the Autodesk Account using the email address to which the message was sent. How do I return my license? All the Autodesk products can be tested as trial software for a 30-days period, in order to see if the product matches all your requirements. However, if for some reason, you need to cancel your purchase and ask for a refund, note that Radient will refund in full orders for subscriptions purchased in the online store within 15 days of the initial purchase. It generally takes 7 to 10 business days to approve and process your refund. We then issue the credit to the card you used when purchasing. We refund the full cost of your order, including taxes and shipping charges. Can I receive the software on a CD or removable media? The option to purchase and ship a physical copy of Autodesk software is not available. You can however write us and ask for a certain product installation media - but we cannot guarantee that it will be available, this service being provided on a "best effort" basis.